Do you know that there is a hidden built-in screen recording software in Windows 10? This new video recording tool named “Game Bar” is part of the Xbox app which comes installed by default in Windows 10. The “Game Bar” included in Window 10 can be accessed by users to record screen for free. How to use the "Game bar" to record the desktop and gameplay? Does this Windows 10 built-in screen recording software have rich features to make a dedicated video? Should we install another screen recorder in windows 10? Below is our test and summary. Soon you will find your answer to the question. Check these guide If you are looking for best screen recorder for Windows platforms or best screen recorder for mac. 2. How to Use Windows 10 Screen Recorder? It is very easy and handy to use. Available for free with Window 10 so you need not to install any additional application to use this facility. It can record only for 2 hours at max. Not possible to record entire screen. This facility can be used to record only selected window at a time. Once you exit or minimize this application the recording will itself finish. It cannot capture mouse movements so you cannot create interactive tutorials. Professionals never suggest this application for creation of tutorials. This application cannot be used to record a game that works on full screen. Many users have reported crash with this application. How to Use Window 10 Screen Recorder to Record Desktop and Gameplay? Step 1. If you are going to use the Xbox App for the very first time on your system then first of all you have to do some basic settings for it. Simply open Start Menu on your system and then in All App option select Xbox. Step 2. As soon as your Xbox application set up is complete then you can directly go to the Game Bar inside any desired program or application by simply using the shortcut keys: Win+G. When this game bar is opened for the very first time on any system then a pop up window use to appear saying whether you want to open Game bar or not? Press Yes. Step 3. Now when you Game bar is open then you will find so many control buttons over it. In order to initiate the recording process you simply need to hit the red button on screen. It will start recording of the app window. Note that it does not record mouse movements as well as full screen of your system. Step 4. When you wish to stop the recording process then hit Win+G key. Step 5. Now you will be able to find this new video clip inside Xbox application. Simple hit the Xbox Button that is available on Game bar. 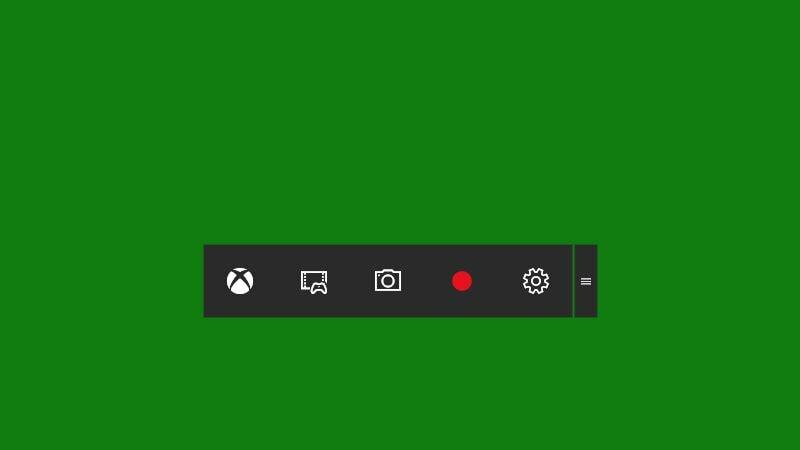 Once your Xbox application is open then from left side icons you need to open Game DVR that contains list of all recorded clips. Here you can also rename or edit any desired clip. Step 6. You can also change settings from Game bar window. Users can easily set the recording time as well as length of video clips from game bar setting icon and it also works with few keyword shortcuts. If you are a basic user and need software to record various tutorials from computer screen with powerful video editing features then Filmora is best tool for you. The recording facility of Filmora can be accessed for free whereas those who need powerful editing feature can avail this benefit with payment of $59.99 only. Filmora possess so many templates as well as advanced transitions and effects to assist users in fast and efficient recording. In case if you need recording software especially for your gaming world then it is good to use Open Broadcaster Software that can be accessed for free. This tool is available for Mac, Linux as well as Window users and serves with all advanced editing feature that game lovers often need to create impressive videos. This high performance type software tool can be used for classic audio- video mixing while adding customized transitions to every next frame. Some of its attractive features are the automatic colour correction facility, chroma keying and image masking etc.